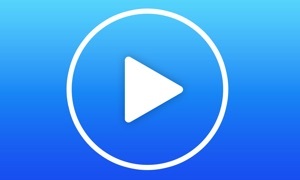 Air Video TV for Apple TV by Bit Cave Ltd.
Air Video makes it simple to share your video files from your Mac or PC to Apple TV. Choose which folders you want to share and that's it. So simple, it's like Air. What makes Air Video HD so popular is its ease of use. There are no network protocols to install. Just download the software on your Mac or PC, find your files, and you're set. What makes Air Video HD so popular is its ease of use. There are no network protocols to install. Just download the software on your Mac or PC, find your files, and you're set. Ease of use is one of the most important reasons to give Air Video HD a spin. If you have a lot of DRM-free videos on your computer, this Apple TV app is a no brainer. This is the app you bought your Apple TV for :) Stream any video from your computer. Air Video is trivial to setup. Just download and install Air Video Server HD on your PC or Mac, chose which folders you want to share and that's it. No need to configure network shares, or deal with painful and limited network protocols you probably don't even want to know about. And don't worry about formats, codecs and bitrates, let Air Video handle the dirty details for you. You can download the server from airvideoapp.com. - Automatic folder refresh. When you add or remove files, Air Video gets notified and instantly refreshes folder listing. 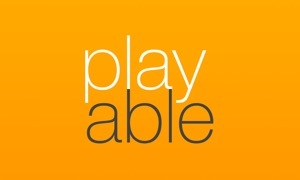 Works with the play queue as well. 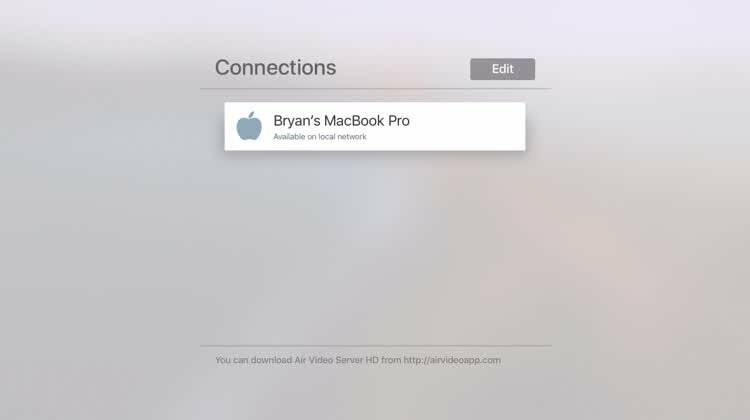 - Synchronized settings - You can stop the video on your iPad and resume on Apple TV. Air Video HD will transparently synchronize last positions, playback settings, and playback history across your devices. - Connection speed test - measures throughput directly between the computer and Apple TV. Great tool to determine network bottlenecks if playback is stalling. Air Video HD will not play DRM protected videos. All content purchased through iTunes (except video podcasts) includes DRM. Air Video Server HD requires at least OS X 10.9 or Windows 7 to run. It may run on XP if you're lucky, but seriously, that thing is 14 years old.